Note: make sure you have access to the email address associated with your account, you’ll receive a one-time password in your mailbox. 3. You’ll be redirected to a page to enter username associated with your account. If you’ve entered the right username you’ll receive a one-time password in your mailbox associated with the account. 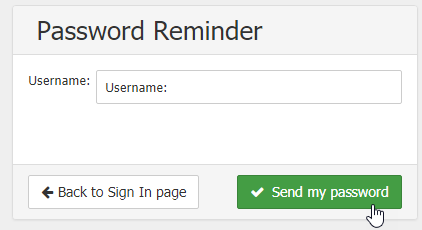 IMPORTANT: It’s strongly recommended that you change the password after you log in using the one-time password. 1. On your home screen, in the next section labeled with your name, click Change Password. 2. 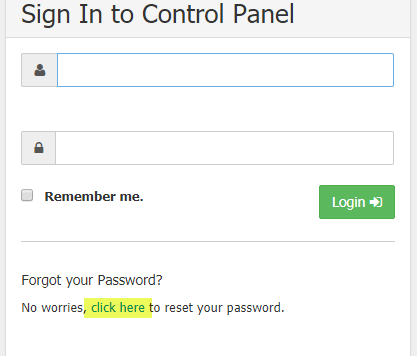 Enter and re-enter your password, or you can click on Generate Password, to get a complex password. 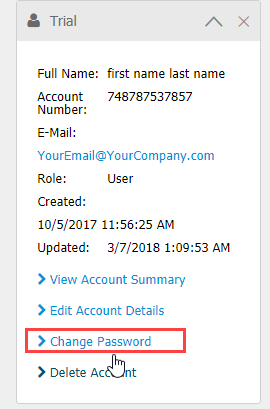 Note: Click on the Password Field to show the generated password.